I read a non-fiction book this past week by Brian L. Weiss, M.D. that started me to start thinking seriously about reincarnation. 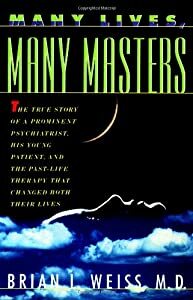 The title of the book was, Many Lives, Many Masters. The book tells the story of one of Dr. Weiss’s patients and how she was healed from many psychological problems by past life therapy. It not only changed her life but also his. Up until this point in time I never thought it had any validity. It was as if a door opened and let me step through into a world I didn’t think possible. The word “reincarnation” derives from Latin, literally meaning, “entering the flesh again”. The Greek equivalent metempsychosis (μετεμψύχωσις) roughly corresponds to the common English phrase “transmigration of the soul” and also usually connotes reincarnation after death, as either human, animal, though emphasising the continuity of the soul, not the flesh. The term has been used by modern philosophers such as Kurt Gödel and has entered the English language. Another Greek term sometimes used synonymously is palingenesis, “being born again”. There is no word corresponding exactly to the English terms “rebirth”, “metempsychosis”, “transmigration” or “reincarnation” in the traditional languages of Pāli and Sanskrit. The entire universal process that gives rise to the cycle of death and rebirth, governed by karma, is referred to as Samsara while the state one is born into, the individual process of being born or coming into the world in any way, is referred to simply as “birth” (jāti). Devas (gods) may also die and live again. Here the term “reincarnation” is not strictly applicable, yet Hindu gods are said to have reincarnated (see Avatar): Lord Vishnu is known for his ten incarnations, the Dashavatars. Celtic religion seems to have had reincarnating gods also. 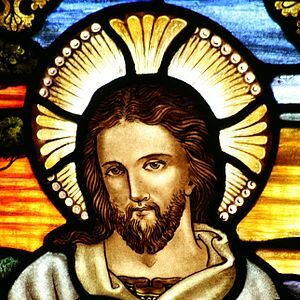 Many Christians regard Jesus as a divine incarnation. Some Christians and Muslims believe he and some prophets may incarnate again. Most Christians, however, believe that Jesus will come again in the Second Coming at the end of the world, although this is not a reincarnation. Some ghulat Shi’a Muslim sects also regard their founders as in some special sense divine incarnations (hulul). Philosophical and religious beliefs regarding the existence or non-existence of an unchanging ‘self‘ have a direct bearing on how reincarnation is viewed within a given tradition. The Buddha lived at a time of great philosophical creativity in India when many conceptions of the nature of life and death were proposed. Some were materialist, holding that there was no existence and that the self is annihilated upon death. Others believed in a form of cyclic existence, where a being is born, lives, dies and then is re-born, but in the context of a type of determinism or fatalism in which karma played no role. Others were “eternalists”, postulating an eternally existent self or soul comparable to that in Judaic monotheism: the ātman survives death and reincarnates as another living being, based on its karmic inheritance. This is the idea that has become dominant (with certain modifications) in modern Hinduism. Gilgul, Gilgul neshamot or Gilgulei Ha Neshamot (Heb. גלגול הנשמות) refers to the concept of reincarnation in Kabbalistic Judaism, found in much Yiddish literature among Ashkenazi Jews. Gilgul means “cycle” and neshamot is “souls.” The equivalent Arabic term is tanasukh: the belief is found among Shi’a ghulat Muslim sects. The way I understand it, is we go through this life and die. Our spirit goes to a different plane and if we still have lessons to learn we are reincarnated and sent back to the mortal life to do it all over again. I wonder if this is the Catholic’s purgatory. With each session Dr. Weiss had with Catherine he would ask her what she was supposed to have learned and she would tell him. Here it is, one more time, Christmas. Being Christmas Eve everyone is hurrying around trying to get the last-minute gifts and food items which were forgotten, Christmas dinner will go off just as it was planned. All of us who celebrate Christmas have our traditions. 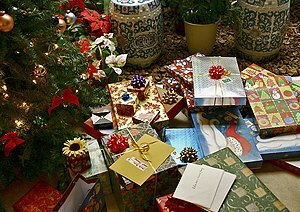 My family celebrates on Christmas Eve and Santa visits, leaving those wonderful presents for the excited children. There are squeals and lots of laughter. It is planned chaos from start to finish. Paper and boxes are everywhere. We do have family members who believe they need to say all the bows and printed boxes. They think they will use them again but if they do I don’t recognize them. Then we have the one family member that insists that all the paper be neatly folded before being placed in the trash bags. That was how mama did it. Since coming to the family he has learned how to loosen up a bit over the years. His family’s tradition was to open up gifts on Christmas Eve and then place them around the tree for display until Christmas morning. I never have been able to understand that particular concept. What are your family traditions? Do you know anyone’s tradition that doesn’t quite fit your ideas of Christmas? I want to wish everyone a Merry Christmas and a Happy New Year. I pray your cup is overflowing with health, happiness, and prosperity. Blessings to you and yours. I was sent the following Santa letter from a friend today. It got me to thinking about how different the Christmas wants of today are from what they were 100 years ago, or are they? The letter was from a boy they think, written over 100 years ago and found on a fireplace shelf that somehow survived over the century. What do kids ask for today? Dolls, clothes, electronics, candy, ect. ect. This child asked for very similar items. Not the electronics of course, since they weren’t available at the time. In many ways I think the contrast between what the child wanted with what todays children want shows both how our world has changed and at the same time remained the same. The childs list was simple and didn’t sound like much, but I’m sure that childs wants would have cost quite a bit 100 years ago. Please enjoy the letter and let me know your thoughts. IT MAY have been slightly scorched over the years but a letter to Santa written 100 years ago, which was later discovered in a Dublin fireplace, has the magic of Christmas written all over it. On Christmas Eve 1911, a brother and sister, who signed their names, “A or H Howard”, penned their personally designed letter to Santa with their requests for gifts and a good luck message at their home in Oaklands Terrace, Terenure (or Terurnure, as the children spelled it) in Dublin. They placed it in the chimney of the fireplace in the front bedroom so that Santa would see it as he made his way into the Howard household in the early hours of the morning. The letter was discovered by the house’s current occupant, John Byrne, when he was installing central heating in 1992. Since then, he has retained it as a souvenir of another time and place but with the stamp of childhood innocence which still exists today. The message to Santa was warm but explicit. Ownership of the house changed over the decades, with the Byrne family moving there in 1961, but the letter survived. “At that time, the fireplaces were made of brick with a shelf on either side,” said John Byrne who works in the building industry. The letter remained remarkably intact given the passage of time and was only slightly burned from fires set in the house over the years. As well as the requests for gifts from Santa the letter also contains drawings and a message of “Good Luck” to Santa from the children. According to the 1911 census there were three children living at the address in the year in which the letter was written. The youngest of them, Hannah, who was 10 at the time, and Fred (presumably short for Alfred) who was seven, fit in with the initials on the letter. A third child, a 13-year-old called Lily, is also listed. The Howard family were all born in England, including parents Fred Hamer Howard, an “under manager” in a plumber merchants, and his wife Mary Elizabeth. They listed their religion as Church of Ireland. There is a man who has been in my life for as long as I can remember. I’m now sixty-two years old and I can’t imagine him not in my world, even though I know the time is getting ever closer for him to leave the world and me. Jim has been my father’s best friend since they were boys together in Oklahoma. They survived the hard times growing up, and survived World War II. They have stuck together like glue. How do you tell someone they mean more to you than you can really put into words? There hasn’t been a time when I haven’t heard the words I love you coming out of his mouth. Growing up I always knew he was there, he was my rock, and it hasn’t changed. I got the best of Jim. I never lived with him, so I didn’t have the trials and tribulations of everyday life that his own son experienced. When my life was a wreck he was there for support. He held my hand while I went to sleep, or rubbed my neck when I had a headache. To this day, love and encouragement is what I receive from Jim. I have been so blessed to have another daddy who loves me unconditionally and never fails to show it. I wish everyone could have a Daddy of the Heart as I did. Jim is one of God’s blessings in my world that I’m ever grateful for. Let me know if you have been blessed in your life by someone in your world. If you are like me, it may take some time to come up for the appropriate title for your work. It goes for anything that you want to place before the public. I find I can think of titles, but something inside of me knows it doesn’t quite fit (I wonder if that’s my muse talking). Sometimes the titles are correct from the start for me. My book that was originally published in November of last year, had the title of “The Tower”. When I did a revision of the book this year, I felt the title needed expanding. I actually gave it a subtitle. It is now”The Tower, A Jensen Mystery.” The book I hope to publish this coming year is called “Dobyns Chronicles”. I haven’t been able to come up with a new title, so it is the one that stuck (cover is designed). 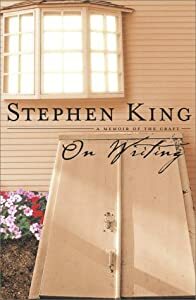 If you have problems, I have found an article from Daily Writing Tips which gives seven ways to help you find the correct title for your work. 1. Think of adjectives, nouns and verbs which describe your work. Write them down and then try pulling your title from them. You can mix them around to see what works best. 2. Look for an important turning point in your novel or focus on the climax. Describe the event on paper Pick out the words or phrases which stand out to you. See if something works for you for a title. 3. Pick out novels or short stories that run in the same genre as your work. Study the titles and how they relate to the story. Then, look at your project as a whole. Think of the theme or overall message of your book. Write down some words that go along with your theme and work them to see if you can find your title. 4. 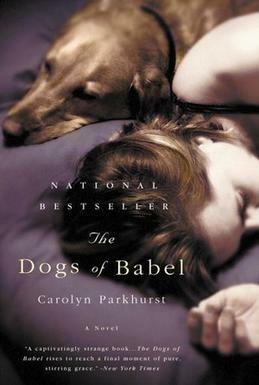 Avoid the obvious “The” titles like “The Pink Slipper” or The Brown Dog“. Look for a slight recurring themes or undercurrents in your novel and try naming your novel after those subtle nuances. 5. Poets have a way of weaving words into a beautiful picture. Read some famous poetry and write down words and phrases that stick out to you. Song lyrics can have the same effect. You can find some powerful titles by mixing, matching and combining words from lyrics. 6. Consult your thesaurus and look up synonyms for commonly occurring words in your novel. Look up this synonyms in the dictionary to get a better understand of their meaning. Use different words in context to find a combination that you like. 7.Type title generator into your search engine and see what pops up. There are several websites that will either random titles . I have also included a video on picking your title. Enjoy…….. I received this from a friend of mine this morning and I had not read it before so I thought I would share it with my blog friends. I’m a dog lover from start to finish but it has caused me to experience rolled eyes from some of my family and friends. I have four dogs, Andy is a thirty-five# Cocker, Booker, four pounds of pure energy, Eddy is 15 pounds of laid back love and then there is Angel who is a five-pound poodle princess and knows it. They have trained me well. I sometimes feel as if I have a houseful of three-year olds. I wouldn’t trade it for the world. I receive much more from them than I can give. How do you feel about your pets? Does it bother you if someone won’t come to your house because you have dogs? Let me know. I’m interested to know your thoughts on the subject. TO ALL NON-PET OWNERS WHO VISIT AND LIKE TO COMPLAIN ABOUT OUR PETS: (1) They live here. You don’t.